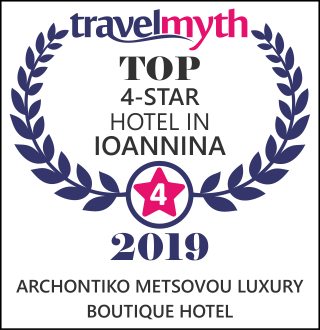 Archontiko Metsovou hotel is a beautiful, recently built mansion, in the heart of Metsovo with the ambition of winning your hearts because we have put our love and effort in order to satisfy your elegant, pure personal taste and choice. Call us on 26560-29100 or 26560-29101 or 6972-553040 to inform you about our offers. OFFER: With each reservation the hotel offers - FREE - the individual - - 60-minute spa program with excellent double jacuzzi, massage, Power plate, sauna - steam room. Also in the hotel courtyard with its panoramic views of the surrounding mountains is a heated swimming pool and outdoor Jacuzzi. The artificial lake of Aoos created with the construction of the hydroelectric dam of PPC in 1987. Located close to Metsovo in Politsa plateau at the foot of Montenegro at an altitude of 1350 m. You can go around the lake by car or by mountain bike (30 km. in total) go fishing or see the rich flora and fauna of the lake as it has become an important ecosystem.